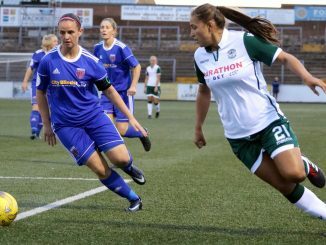 Glasgow City saw off a late Spartans fightback to win 3-1 and remain top of the SBSSWPL1 but Hibernian are as close as can be after scoring five against Rangers. 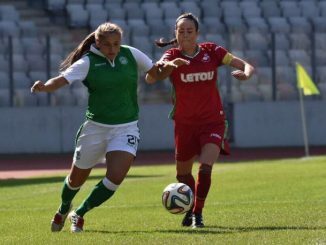 The game was only 6 minutes old when Glasgow City’s Hayley Lauder set up Kirsty Howat to fire them ahead. Midway through the second half the lead was doubled, Abbi Grant winning a penalty which Leanne Ross converted. Spartans got a late goal back through Elena Santoya-Brown but City respond immediately through a Leanne Crichton strike. Hibernian were 1-0 ahead at the break against Rangers with a Lizzie Arnott header from an Abi Harrison cross. A Lisa Robertson solo effort made it 2-0 on 54 minutes and on the hour mark, Harrison laid the ball off for the oncoming Arnott to tap into an empty net. In the dying minutes Rangers conceded an own-goal and Harrison got on the scoresheet after her two earlier assists. 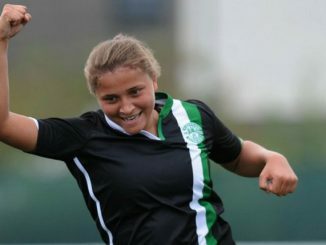 Third-placed Celtic came from behind with two goals in a five-minute spell straddling the interval to edge Forfar Farmington by two goals to one. 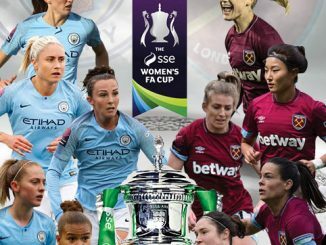 Nicola Davidson rifled a 21st-minute free kick into the top of the net, before Celtic equalised close to half time, Nicole Pullar and Josephine Giard combining well to set up Natalie Ross to curl the ball into the corner. Four minutes after the restart the turnaround was complete, Colette Cavanagh picking the ball up just inside the Forfar half and advancing to fire high into the visitior’s goal. Hamilton Academical were losing at home to Stirling University with 30 minutes left but the Accies fought back with two goals to win 2-1. Katie Rice then got the winner that lifted the hosts off the bottom of the table. Motherwell made it nine straight wins by coming from behind to take the points 7-2 at basement side Central Girls Academy. Central open the scoring inside the first 30 seconds through Kim McAlpine but Motherwell were ahead midway through the half, Sammy Hare heading home to level and Lauryn Reside slotting in the second. A Shaney McCabe own-goal gave ‘Well a two-goal cushion but Central hit back immediately with an Abby Callaghan spot-kick. Hayley Cunningham ’s low drive made it 4-2 early in the second half, Hare and Cunningham both then added their second goals of the day, with Caitlin Russell on target in-between. Second-placed Kilmarnock are still eight points off the leaders following a 5-1 victory at Aberdeen. Kirsty Munro bagged a brace, Colette Fleming, Clare Docherty and Courtney Otto one each, while Amy Phillips found the net for the Dons. Edinburgh University Hutchison Vale are goal-difference from getting out of the drop zone after coming from two goals down for a 2-2 tie at third-placed Glasgow Girls. Rachel Ashe and Lauren Evans scored in the first half-hour, with Katherine Smart pulling one back on 72 minutes and the home side then conceding a late own-goal. A Jade MacDonald effort saw St Johnstone stay a point ahead of Hearts whom they finished all square with at a goal apiece, Pamela Liddell netting for the hosts. 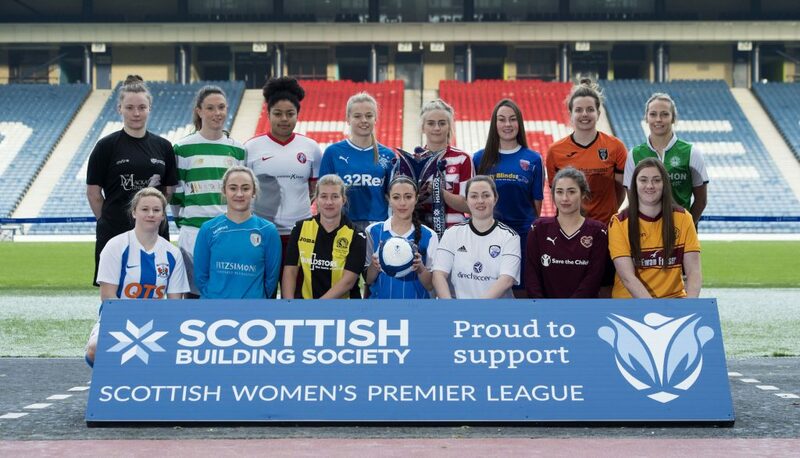 There are two SWPL 1 fixtures on Wednesday 30th May, with Stirling University hosting Forfar Farmington at Ochilview Park (7.30pm) and Rangers tackle Glasgow City at New Tinto Park (8pm ko).